Winnemac Park Neighbors, Ravenswood: Winnemac Park Neighbors Next Meeting Update: Tell your neighbors! Winnemac Park Neighbors Next Meeting Update: Tell your neighbors! Here's your chance to really get dirty and improve Winnemac Park and the school campus. Christ Community Church (services held at Chappell School) and Walgreens have organized a Service Day for Sunday May 6th. Pastor Tammy Melchien will address our group with early details and updates. Activities will include planting at the schools, weeding the prairies, painting benches, mulching, fixing fences and more. We'll continue to promote the day and solicit volunteers. III. Possible representative from the 47th Ward Alderman's office to address the Lawrence Street-scape project (invite pending). As always, we'll have quick notes on our group's volunteer efforts at the schools, the Winnemac Park Advisory Board update, local developments, Garden Committee updates and news of note as time permits. 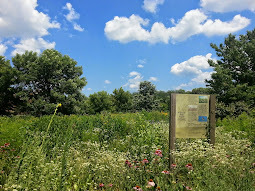 If you'd like to address the group on any subjects affecting the Winnemac Park area of Ravenswood, please contact us ahead of time at info@winnemac.org We enjoy connecting with our neighbors...good things are happening in our neighborhood! Finally, we can use more bloggers/ writers for our web site updates. If you'd like to post short updates, news and photos for the neighbors around Winnemac Park please contact us. We'd love to see more great news from around our community (school news, business, sports, parks whatever!). It's easy and fun...do one post or do many!